Heidi Klein considers every detail of its swimwear to perfect the fit and feel. 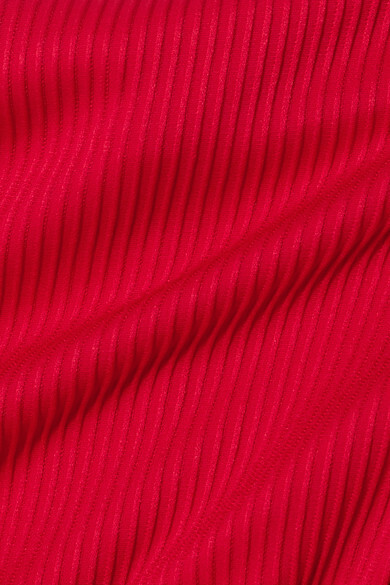 Made from a fairly thick red fabric that's flatteringly ribbed, this swimsuit has extra lining and gumming at the bust. The wide shoulder straps provide a touch more support and lift. You can wear it as a bodysuit with jeans after jetting home from vacation, too. Wear it with: Illesteva Sunglasses, Eve Lom Rescue Mask, Loren Stewart Necklace, Loren Stewart Ring, Alighieri Bracelet, Loren Stewart Necklace.